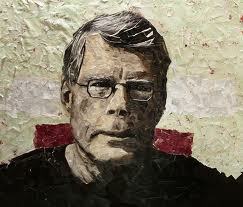 Carrie is Stephen King’s first published novel. It was actually his fourth novel which he had submitted to the publishers. It is interesting to know that the first three books found their publishers eventually though. 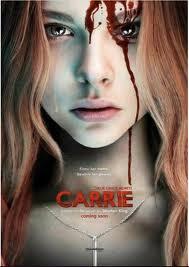 This book is about a school girl named Carrie White. She is shown as a plain-Jane who is dealing with bullying at school and also with a fanatically religious mother. She is naïve and wears really strange clothes, upon her mother’s orders of course. And that is the primary reason why she is perceived as a weirdo at school and bullied to death all the time. There is another marked thing about Carrie – she possesses telekinetic powers. She can move things around by thinking about it. The writer makes it very believable by making references to Carrie’s condition through doctors, at a much later time as an object of research. So there is clearly a good and seamless blend of fiction and non-fiction. The story majorly focuses on how Carrie seeks revenge from all those who humiliated her at the school prom. Using her telekinetic powers, she brings everything to a gruesome end. And that is what the plot builds upto throughout the novel.